During the past few months I have been collaborating with Sole Alonso, a brand that designs and creates made-to-measure wedding dresses, bridesmaid’s dresses and party dresses. I think Sole Alonso is a wonderful designer. 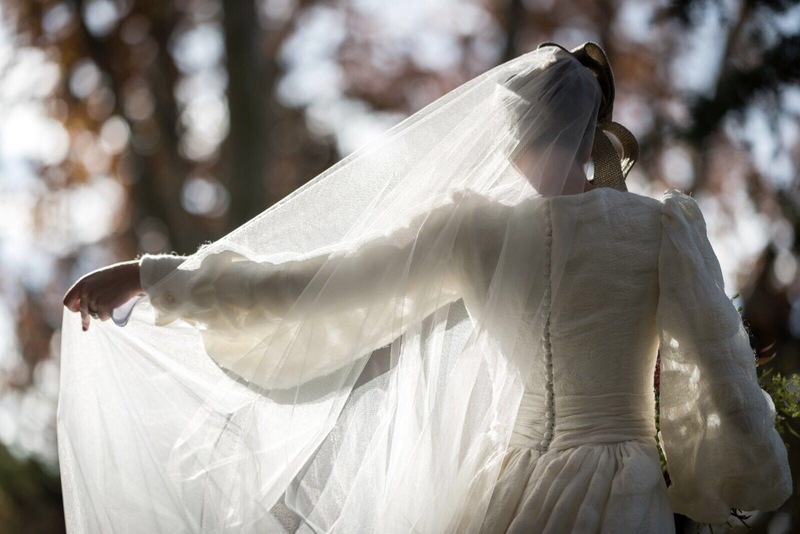 When I see one of her wedding dresses I feel that it has something very special, that it is unique, perfect for the bride she has designed it for. I already knew her work, and I have loved collaborating with her in one of her creations. Creating a fabric for a wedding dress has been an amazing experience. 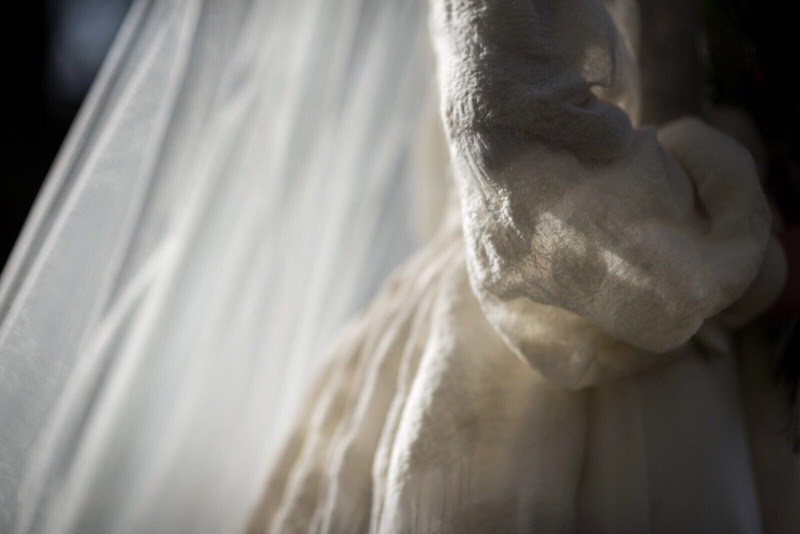 It is the dream of any textile designer, because for the bride her dress is the culmination of all her dreams, and it will be the centre of attention during one of the happiest days of her life. 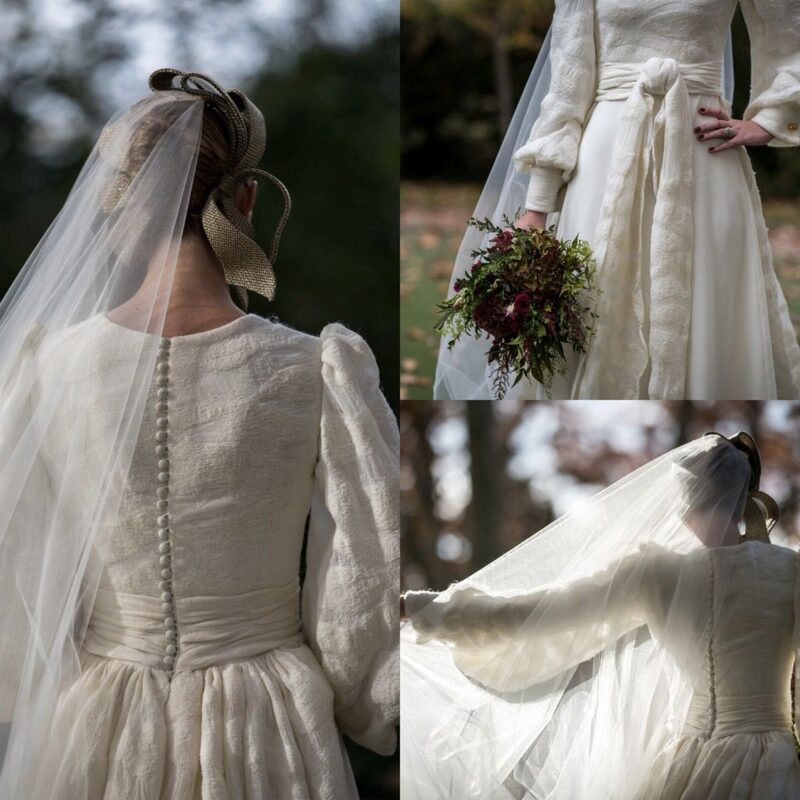 Professionally, it was a challenge to manage the large amount of fabric needed to make the train, the body, the sleeves and the belt of the wedding dress, but the result is so beautiful that it was worth all the time and effort I invested in it. 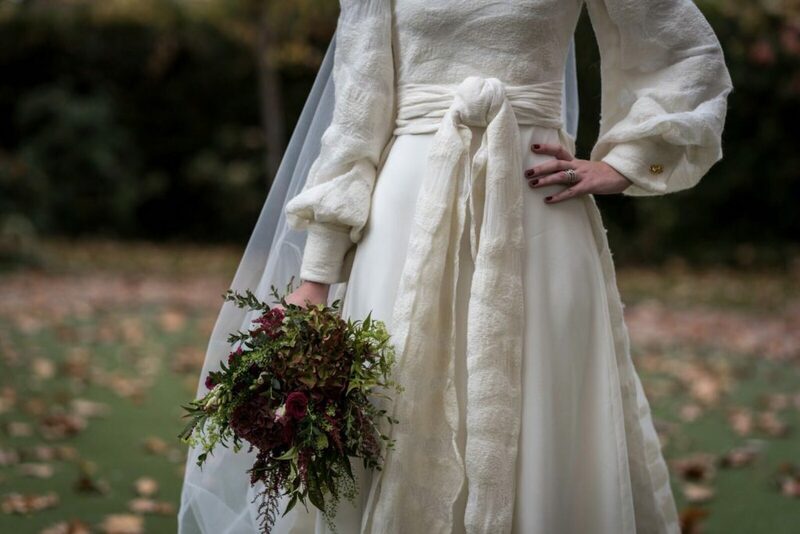 My fabric is made with the nuno felting technique, which makes it very suitable for an autumn or winter wedding. The design consists on white waves, felted on crinkle georgette silk with undyed merino wool. Crinkle georgette is a type of crumpled silk which forms soft lines; the merino wool draws waves on it and creates transparencies, as if the sea foam had settled on the fabric. It is a really soft and superfine wool, which combines perfectly with the lightness of the silk. The result is an elegant, romantic wedding dress with an original design. 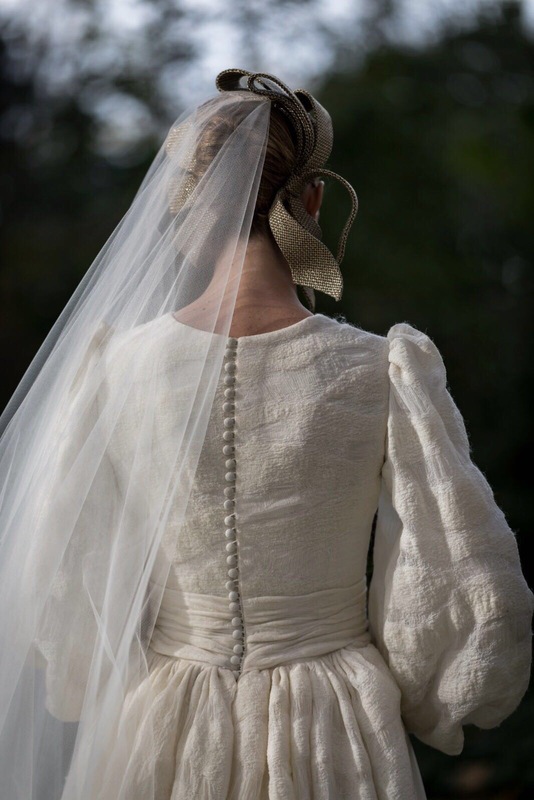 When I look at the pictures of the bride wearing the dress made with my fabric, I hope she felt the same as me when I was creating it: that it is something unique and very special.